This book was awesome. 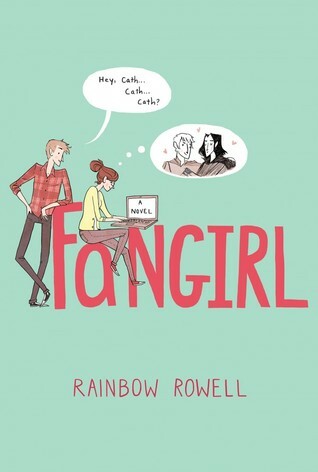 I love Rainbow Rowell’s writing style and this did not disappoint. I loved Cass and her relationships with those around her. She was so relatable and I loved how much I could connect with her. Levi, Wren, Dad, Mom, Reagan – all of them were so well developed and unique to themselves. There wasn’t a character that wasn’t developed enough or that I needed to know more of. Bottom Line: I loved this book. Though it didn’t take the place of Eleanor & Park as my favorite Rainbow Rowell book, I still adored this and am so glad I finally read it. I’m looking forward to Carry On, which will be out in a week or so! I’m sure it’ll be good.